The best Caribbean travel tips come from people who have been there before. It isn’t enough to read articles about what to do or what to see unless it is written by someone who has experienced that island, cruise, attraction, resort, excursion, etc. I clearly remember a neighbor trying to describe Stingray City in Grand Cayman. It sounded like fun. It turned out to be fantastic. Check off these six Caribbean travel tips when you plan your vacation. The most important decision is whether to go on a cruise or spend the entire week at one destination. A cruise offers the lowest per-night cost and plenty to eat and do, but people are restricted to the ship while at sea. It also typically visits more places and provides the widest number of experiences. A “stopover” vacation has the benefit of stability, freedom of movement and the chance to explore all of the best options that a destination has to offer. In either case, it helps to discuss what you like to do the most on vacation and choose the cruise or destination that best fits your preferences. Some destinations are great for beaches but not for nightlife or shopping; others are strong on water sports but not hiking and sightseeing. 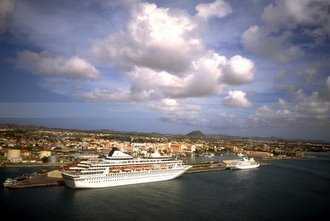 Caribbean cruises are usually divided into western, eastern and southern. Each one has advantages depending on the time of year and the excursions they provide. Western cruises are most popular during the spring when the major destinations including Grand Cayman, Jamaica, Cozumel and Roatan have warm temperatures and low rainfall, especially in March and April. They also are popular because of great excursions at Stingray City and Dunn’s River Falls. One small downside to western cruises is the starting point for many people. They often have to fly to San Juan as their port of embarkation. Eastern cruises have the advantage of convenience when ships disembark from Florida cruise ports, which are closer (and sometimes cheaper to reach) for many U.S. and Canadian travelers than San Juan. The eastern cruise ships pass through the Bahamas, Turks and Caicos, Dominican Republic, San Juan and the Virgin Islands. Southern cruises often include Aruba or Curacao plus some of the southernmost destinations that often are part of eastern cruises, such as Barbados, Grenada and St. Lucia. Although the Bahamas aren’t technically part of the Caribbean Sea, they usually are included in any guides about the region. They win the award for being the closest and most convenient place to visit for most U.S. and Canadian visitors. Dominican Republic is the most popular destination because of its numerous and luxurious all-inclusive resorts in Punta Cana and Puerto Plata. Jamaica is popular for the same reason. St. Thomas has the most well-known duty-free shopping district, but Aruba, Cancun, Curacao, Grand Cayman, St. Maarten and Playa del Carmen also have vibrant shopping and dining districts. Choosing the islands with the best beaches is a matter of opinion. Anguilla (Shoal Bay), Aruba (Palm Beach), British Virgin Islands (The Baths), Dominican Republic (Punta Cana), St. Martin (Orient Bay) and U.S. Virgin Islands (Magen Bay) all have famous beaches. Anguilla is our personal favorite for a combination of beauty and fewest number of people. Annual statistics from the Caribbean Tourism Organization show a clear pattern throughout most of the region. Visits spike in March during spring break for schools. They spike again from June through August and plummet in September and October. The weather can be an issue because of the hurricane season, which generally lasts from June into November. The peak season usually is August to October. Avoid December and January because of cooler temperatures and ocean swimming that can be uncomfortably chilly. May is a brief rainy season. April and June are two of the best months for a combination of warm temperatures and low rainfall. It isn’t possible to rank the resorts and hotels because there are so many of them. But it is possible to make the best possible choice based on several important factors. First, all-inclusive resorts are the most convenient and expensive way to visit one destination in the Caribbean. They can provide plenty of good food and entertainment. But most of them are concentrated on Dominican Republic and Jamaica, then scattered in smaller numbers among the remaining islands. They work well on Dominican Republic and Jamaica because of safety concerns and because of the lack of things to do nearby. It makes less sense financially to choose an all-inclusive at many other destinations. From a budget point of view, the next best option is a hotel with a kitchenette and nearby grocery store. Take time to shop for the best deals on major travel sites and look not only at the prices but also at the location of the hotel and its distance to nearby shopping, dining and attractions. Comparison shop based on time of year and destination. Getting to any hotel or resort usually requires an airline ticket. Keep in mind that distance is a factor in the ticket cost. Closer destinations such as Cancun have less expensive tickets while farther ones such as Aruba are more expensive. All of the Caribbean destinations have standard attractions that can be found at just about any major beach in the world -- snorkeling, scuba diving, windsurfing, swimming with the dolphins, etc. Nearly all of them have similar land activities including ATV rides, horseback rides and jeep excursions. Certain attractions are unique, and they make the difference between a good vacation and a memorable one. The previously mentioned Stingray City and Dunn’s River Falls are on that list. Others include Old San Juan, cave tubing in Belize, Chichen Itza near Cancun and snorkeling the Blue Hole near Belize. Review destination maps to know the locations of airports, shopping, restaurants and excursions compared to the place where you plan to stay. Find out the cost and availability of taxis and other forms of public transportation. Find out what you need for currency. Many destinations readily accept U.S. dollars, credit cards and traveler's checks,but some won't accept U.S. coins.